There's a new upwelling of anti-technology feeling that needs to be countered by sympathetic technologists. We've brought it on ourselves. If we go around bragging that we'll live forever, and that people shouldn't worry about little issues like jobs because the singularity is about to happen, we should expect ridicule. It's entirely possible to articulate a radically interesting approach to technology that doesn't make us out as jerks. 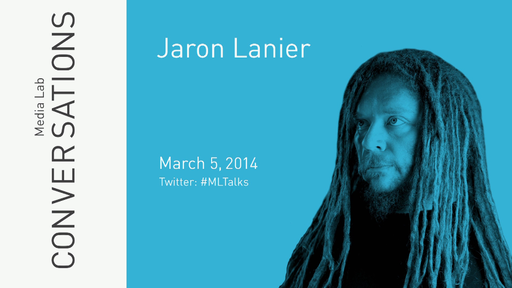 Jaron Lanier worked for Marvin Minsky at Atari research on Kendall Square at the start of the 1980s. He either coined or popularized the term "Virtual Reality" and in the early 1980s founded VPL Research, the first company to sell VR products. He led the team that developed the first implementations of multi-person virtual worlds using head mounted displays, for both local and wide area networks, as well as the first "avatars," or representations of users within such systems. While at VPL, he and his colleagues developed the first implementations of virtual reality applications in surgical simulation, vehicle interior prototyping, virtual sets for television production, and assorted other areas. Lanier has been the founder or technical leader of startups that were bought by Google, Adobe, Oracle, and Pfizer. He's held research positions at Internet2 and Silicon Graphics, and appointments at USC, UC Berkeley, NYU, Columbia, and UPenn. He is now a member of Microsoft Research. Harvard's Kennedy School of Government chose Lanier's book Who Owns the Future? for 2014's Goldsmith Award. He is also wrote the bestselling You Are Not a Gadget and other books. He received a Lifetime Career Award from the IEEE in 2009 for contributions to Virtual Reality, and was the recipient of CMU's Watson award in 2001. 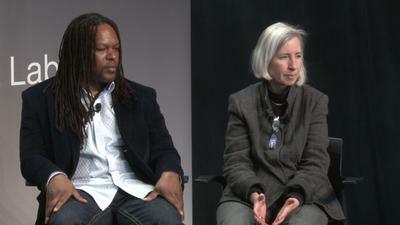 Lanier has received honorary doctorates from the New Jersey Institute of Technology and Franklin and Marshall College. Time and Foreign Policy have placed him in lists of the world's 100 most influential people.